As The NHS Aims To Save Money, Will This Result In An Increase Of Medical Negligence Claims? Can the NHS cut costs by £22 billion by 2020? What will this mean for us as patients? The cost of medical negligence claims within the NHS continue to capture newspaper headlines. It is often claimed that considerable amounts of the NHS budget are being diverted from frontline NHS care to legal bills. Medical negligence is becoming an ever-growing problem within the NHS as the number of claims continue to rise. It is often portrayed within the media that the money used to manage compensation for medical negligence claims deprives the NHS of resources. However, what those headlines fail to address is the fact that if there was no negligence, it would not be necessary to pay such high levels of compensation to those who have been injured through negligent care. Cutbacks within the NHS indicate that the workforce is under an ever-increasing amount of pressure. Hospitals remain to be the busiest they ever have been which results in all services being placed under a high amount of strain. For example, when bed occupancy reaches its maximum holding, it becomes difficult for medical professionals to provide patients with the best possible care. Medical negligence can occur when services are stretched and this goes beyond just emergency care. Hospital Trusts are currently unable to handle their extensive waiting lists which is becoming unacceptable as they continue to fall below the Trust’s ‘acceptable standards’. It has been disclosed that by March 2019 an estimated 560,000 people will wait more than 18 weeks for routine care. Additionally, NHS providers have warned that next year 3.6 million people could be waiting over four hours to be seen in A&E. As patients are forced to experience longer waiting times, it is clear why this can often result in late diagnosis or even no diagnosis. The NHS now requires more funding than ever before due to an aging population and an increase in the number of individuals with long-term illnesses. Efforts to make cutbacks currently include a reduction in dispensing prescriptions which can be bought over the counter. In some regions services including IVF and hip and knee operations have already been cut back. 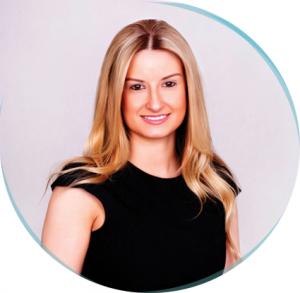 Chloe Sullivan, Medical Negligence Solicitor at Hodgkinsons comments: "Ultimately it is a vicious circle. If you combine the highest ever number of patients with the need to cut costs, this can often only result in one thing, medical negligence. It is unfair to suggest that the reason the NHS is in disarray is because of injured patients claiming compensation when they have been injured through no fault of their own. If the NHS are to see a change in the number of claims being made they must first get to the root of the problem instead of making even more cutbacks." Many solutions have been put forward regarding funding. More cash is being requested for the NHS and a long-term funding plan is on the cards regarding how much the government can afford and whether taxes will be increased, but is this about more than just money? If funding was not an issue, would medical negligence claims be non-existent? Hodgkinsons are dedicated to helping patients who have been injured as a result of medical negligence.